With a background in marketing, advertising and different areas of the travel sector, Chamindra has a fresh approach to the operations of Santani and is a graduate of Duke University and the University of Leicester. 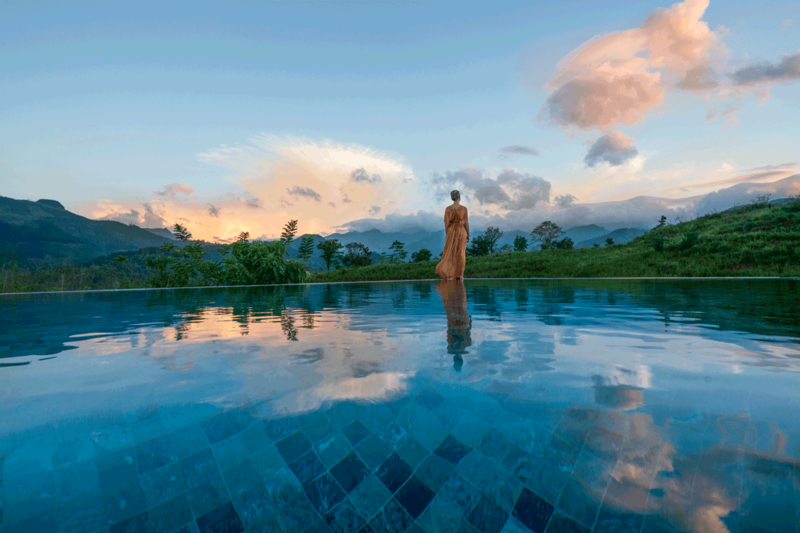 With a unique setting, a heavy focus on cuisine and nutrition, and a world class spa, Santani has created a synergy of varying elements to create a holistic place of healing and rebalancing. This is a great getaway for wellness veterans as well as those seeking a relaxing few days during a Sri Lanka trip. Catering to these wellness and leisure markets are a key part of our development strategy. The Santani story begins with a group of young Sri Lankans, who called themselves « The Ultimate Campers » a enjoyed the unspoilt wilderness of this beautiful island. They ended up in the US, Dubai, Australia as investment bankers, consultants and entrepreneurs, and ended up realizing the true need for humans to thrive in harmony with the external and internal self. In turn, they set out to find the perfect location for a resort that would embody this. Santani was the outcome. 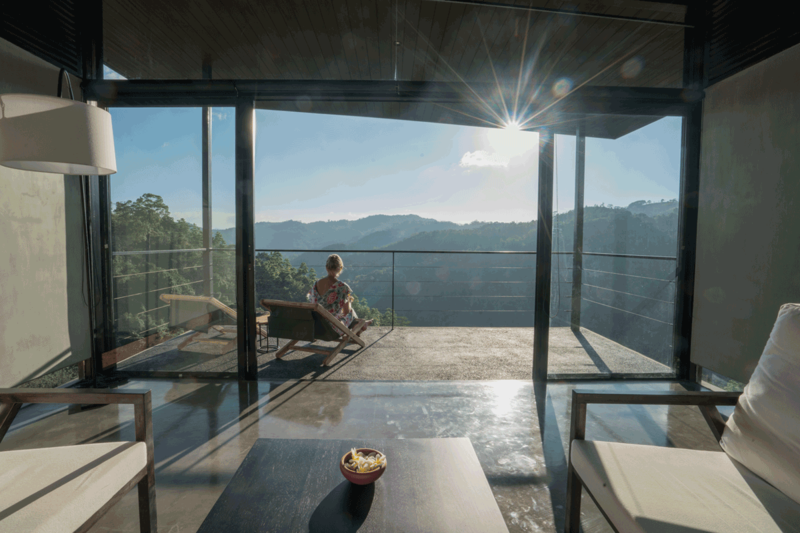 One of the key focal points of Santani is to create harmony with your self, and a concept of architectural silence was created to minimise distractions and slow your system down to it’s natural state. 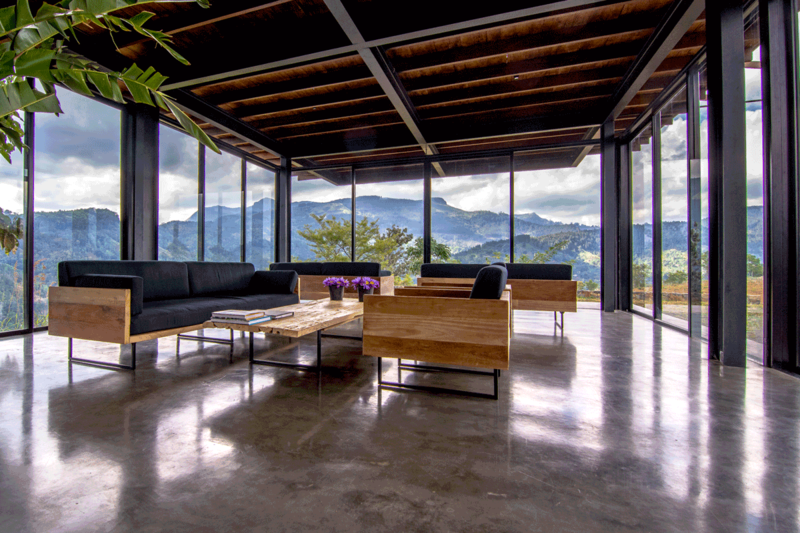 This Architecture, the cuisine, the world class spa and the location set Santani apart from any other property. Located just an hour outside of Kandy, one of Sri Lanka’s cultural hubs, Santani is situated in small village called Werapitiya. Overlooking the Dumbara valley, one of the most scenic areas in the country, Santani is also in close proximity to the Knuckles mountain range, a UNESCO world heritage site. Bordering the Hulu ganga, and overlooking stunning mountain ranges on either side, Santani has a number of treks and nature walks. 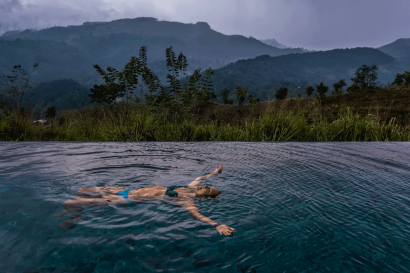 The Hulu Ganga forest bathing experience, the Hanging Bridge of Werapitiya, and the Narampanawa temple are three key on-site excursions, while a number of offsite excursions can also be carried out. These include a hike to Knuckles, a Kandy city Tour, a Tea Factory visit and more. Guests who are seeking intelligent luxury will find peace at this minimilastic, purpose driven property, where the Santani philosophy comes to life at every single turn, through design, food, wellness treatments and so much more. N/A : The minimum age for guests is 12, and there are separate rooms which are more suitable for children between the ages of 12 and 18, with additional safety precautions. 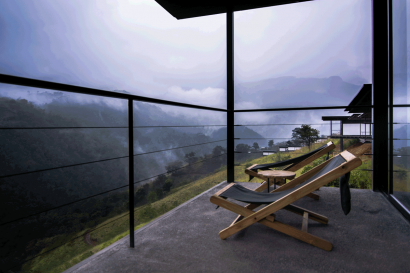 Sixteen stand-alone, single-bedrooms each extending to a balcony and approximately 500 square feet. These can accommodate two people only. Each stylish, elevated room faces into the surrounding jungle valley and the stunning mountains beyond. 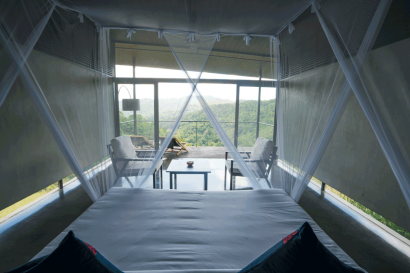 Each room features up-cycled rubber wood lounge chairs, recycled teakwood safari chairs on the balcony, extra large pillows, 100% cotton, high thread count sheets, coffee and tea making facilities, personal safe and two closets. In addition to this, we have 4 Garden View Chalets that are designed for families with children (above 12) and hence located away from the main area of the resort. 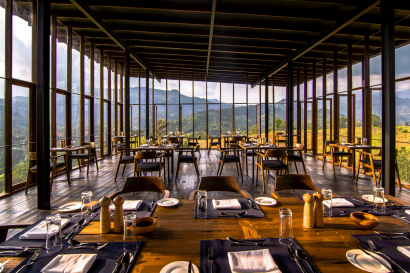 All guests at Santani are on a full board plan, and three gourmet meals are served during the course of the day. Either a European or Sri Lankan breakfast, a 3 course Lunch and either a four course western Dinner, or a traditional Sri Lankan meal can be ordered. All meals are personalized based on dietary preferences and allergies. 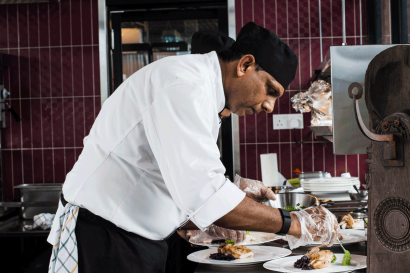 Chef Wajira Gamage is the Executive Chef of Santani and he joined the team at Santani to create the world’s first fine dining healthy food offering. He joined Santani after 10 years as the Corporate Chef at Resplendent Ceylon, overseeing the food at the only two Relais & Châteaux properties in Sri Lanka. 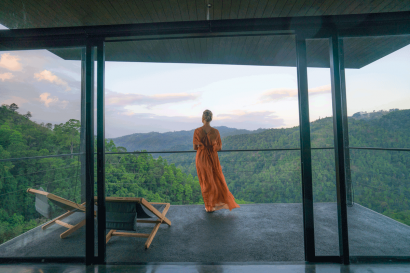 Our tri-level spa tucked into the hillside’s natural contours has been thoughtfully designed with holistic wellness in mind. You enter on the ground level to our reception and consultation rooms, then descend as if becoming one with the earth as you enter the hydrotherapy level. To warm up your body before treatments, this level houses a steam room, the cedar wood sauna with its a glass wall looking onto emerald paddy fields to the Knuckles mountain range, and our open-air thermal salt soak pool. The packages include weight loss, detox, anti aging, personal dosha and a number of other preventative treatment plans. There is a auditorium on site for special events and screenings, and a number of public spaces that can be utilized based on the requirement. 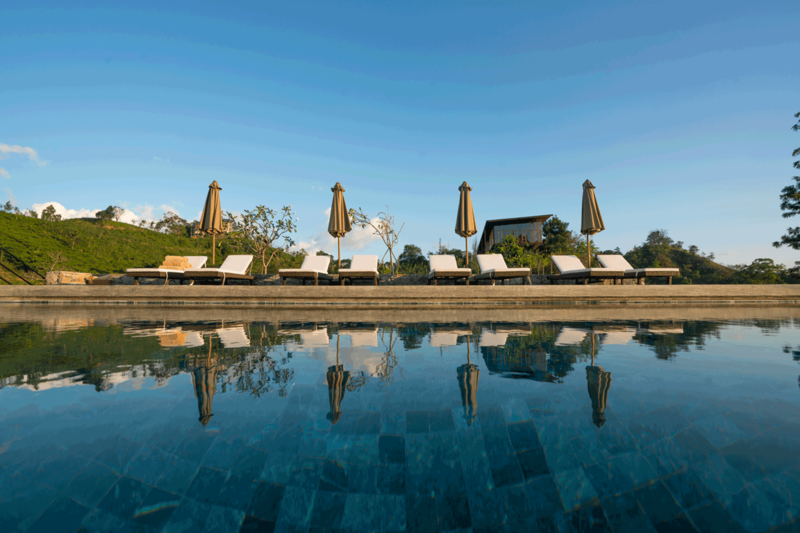 In addition to the Tri level Spa, there is a yoga shala and daily morning and evening yoga (or pilates, based on the wellness calendar) is offered to all guests at no extra charge. The Victoria Golf Club, one of Asia’s most scenic golf courses, is also located 45 minutes away from Santani.